Defra and the WPM industry have released a statement detailing new requirements that would apply to WPM, should the UK leave the EU without a deal. The statement can be found here. This statement has been jointly drafted with the UK Government (Defra, the Department for Environment, Food and Rural Affairs). It should be read together with Defra’s policy guidance "Importing and exporting plants and plant products if the UK leaves the EU without a deal" to provide practical guidance to help our industry. Further updates and guidance will be uploaded here as developments continue to unfold. We are currently compiling a repository of answers to questions TIMCON members and UKWPMMP registered companies may have as a result of this statement. Please email any questions or request for clarification to info@timcon.org. 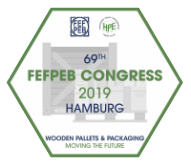 The FEFPEB executive committee has developed and agreed on a FEFPEB position statement / February 2019 which can be found here. The statement supports the views expressed by TIMCON and Defra in their earlier joint statement. "WOODEN PALLETS AND PACKAGING MOVE THE WORLD!" KNOWLEDGE & EXPERIENCE: 60 years wooden packaging and pallets have been used for more than 60 years, reflected in the timber packaging industry’s experience and knowledge over those years. Wooden pallets play a vital role in the world of commerce. In a very real sense "pallets move the world". 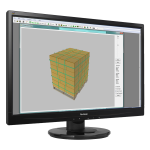 For three decades pallet manufacturers worldwide have trusted Pallet Design System™ (PDS) to provide professional and safe pallet designs. Timcon members receive a reduced rate and free NWPCS membership with PDS.